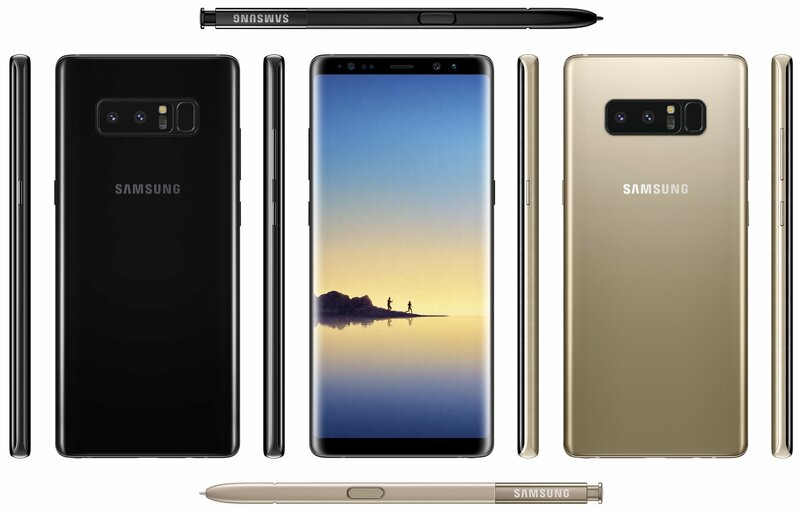 Last night, we were treated to the front side of the upcoming Galaxy Note 8, then shortly after, the entirety of the device was published online via @evleaks. In these images, which show us every angle of the device basically, we get a real good look at the dual rear-facing camera setup, poorly placed fingerprint reader, and S Pen. The only thing we still can’t see is the top and bottom of the device, but if I was to guess, there’s probably a speaker on the bottom, USB Type-C port, and 3.5mm headphone jack. On the top, there’s a SIM and SD card slot. While I’m still no fan of the fingerprint reader location, I must say, this is one attractive device. If there was a White model with the black camera portion, I’d be going crazy. Since I don’t expect there to be a White model, the Midnight Black will have to do. August 23, hurry up and get here. UPDATE: Here is a comparison of the Note 8 to the Galaxy S8+ and S8.